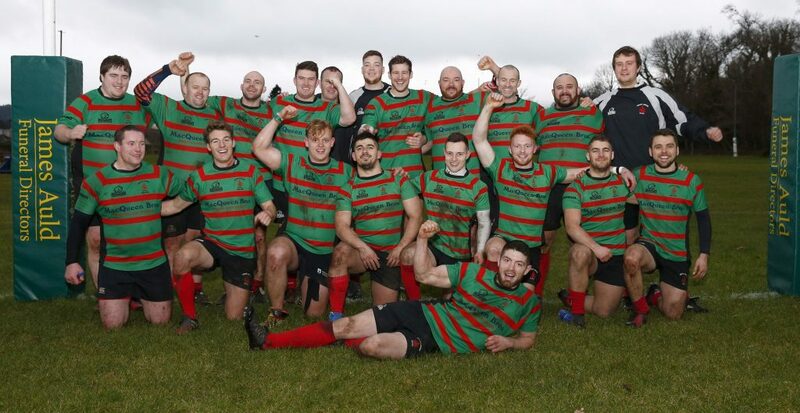 Oban Lorne were on the road again last weekend, this time travelling to Cumbernauld for the first of the second round of games in West Division 2. The team was looking to get back to winning ways following the disappointing loss away to Wigtownshire the previous weekend. Playing with the strong sun on their backs and a bit of a breeze behind them in the first half, captain Iwan Roberts elected to receive the kick off. Big Kyle Graham gathered the kick superbly and went on a charge. A good, quick ruck ball was won and passed out the line, only for a knock on inside the 22 to gift possession to Cumbernauld. They were quick to recycle a couple of phases before passing the ball out to their dangerous centre who crossed for the first score of the day within three minutes. This was a wake up call for Oban who proceeded to work their way up to the other end of the field from the kick off for Iwan Roberts to cruise over the line for a well-worked try. This was converted by Finlay Carmichael to give Oban a 7-5 lead which they were not going to let go. Craig Wright was next on the scoresheet with a trademark run around the Cumbernauld defence to extend Oban’s lead but Carmichael was unsuccessful with his kick from out wide. Oban were on fire at this point with forwards and backs working really well to keep the ball alive and put the opposition on the back foot. Captain Roberts was next on the scoresheet with a scything run through the midfield to score behind the posts and give an easy conversion for Carmichael. 19-5. Oban were to secure their bonus point try after 32 minutes when David Cameron collected a kick from the Cumbernauld stand off around the half way line and took off on a fantastic run right through the middle of the Cumbernauld team breaking a number of tackles on his way. He offloaded to Craig Wright who sped over the line again. This took the Oban lead to 24 points to 5. Oban were putting the Cumbernauld team under a lot of pressure and this led to them giving away a penalty inside the 22. With the bonus point in the bag already, a quick tap penalty was taken and Calum Maclachlan crashed over the line, the big prop relishing his return to action after serving a two-week suspension. The second half continued in the same vein, with Oban controlling large swathes of the match, although the Cumbernauld number 8 was a hard man to put down and he along with the two centres were the home side’s best players on the day. Young Lorne Sinclair was impressing again with his workrate around the pitch and support of the ball carrier. He was everywhere and into everything a real all-action display. He was rewarded with a fine try after another great Oban break. This was again converted by Carmichael who was having a great day with the boot. Craig Wright was to claim his hat-trick of tries after another lightning break from good turnover ball by the forwards. The ball was worked wide for the Oban full back to race away and score again. This is already a stellar season with Wright having scored more than 20 tries already and it’s not even halfway through the season yet. Calum Maclachlan was given a yellow card with about 10 minutes of the game to go. This was a team card for persistent infringements after a number of warnings from the referee. The extra man advantage allowed Cumbernauld back in to the game and they scored two late tries to bring the final score to Cumbernauld 17 Oban 50. Oban have no game this week with the club having a Rugby Force day to tidy up around the clubhouse. 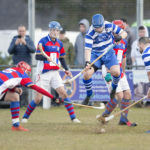 Oban welcome Helensburgh to Glencruitten on Saturday December 1 for the return match of the Argyll derby as Oban look to close the gap on league leaders Lenzie and Uddingston.